Now, here is an interesting group of ten piano solo pieces by pianist/composer Anton Rubinstein (1829-1894) collectively entitled Le Bal, Op. 14: Fantaisie for Piano on Ten Numbers for Altesse Madame, Princess Sophie de Nassau (1824-1897), the daughter of Holland's King Wilhelm II and his Russian-born wife, Queen Anna Pavlovna. It appears on the Attaca label [9268, DDD, 61:39]. Most piano music collectors know of Anton Rubinstein's music through his five piano concertos, the Fourth in D Minor, of which is probably his finest work in this genre. Then there are a few solo pieces that were popular, some of which are still played today. His chamber music was plentiful, but I always thought Anton Rubinstein's music was virtuosically brilliant music that really didn't have much to offer emotionally. Technically, the preponderance of his music is considerably demanding for the performer. Given Anton Rubinstein's popularity in Europe and America, it was only after his death that most of his music fell into oblivion. His music fared well on the programs of performers such as Liszt, Saint-Saëns, Brahms, von Bülow, Josef Hofmann, and others of their ilk. The great singer, bass Feodor Chaliapin also included many of Rubinstein's songs in his recitals. Anton Rubinstein's Le Bal, for me is the exceptional exception to the general quality of his solo piano music, and it stands alone as one of the larger works that contains well written music. Le Bal is essentially dance music and each piece tells a story. For example, the first piece, "Impatience," displays the excitement before the start of the party. The other sections are marked Polonaise, Contredance, Waltz, Intermezzo, Polka, Polka-Mazurka, Mazurka, Galop and Le Rêve. These are some of the most charming piano solos I have found written by Rubinstein, colourfull, full of life, and most virtuosic for the piano, who almost makes his sound into a full orchestra. The pianist, Marius van Paassen was first known to me on another Attaca CD recording , which contained a phenomenal version of Anton Rubinstein's Yankee Doodle Variations, the Piano Sonata, Op. 100, and a Prelude. The Yankee Doddle Variations was programed once on a July 4th radio tribute I presented, which brought forth many calls and letters, indicating people do recognize something different (and good) when they hear it. Marius Van Paassen studied at the Sweelinck Conservatory in Amsterdam and in Hannover, taking a number of national prizes. He is the one pianist who has performed the solo music of Anton Rubinstein in recital more than any other pianist. Van Paassendebuted with the Concergebouw Orchestra in 1982 when he performed Tchaikovsky's First Piano Concerto. One recording he made, entitled "The Animal in Twentieth Century Piano Music" was a sell-out when it was first issued (wish I had it!). He also won a national prize for his performance of Beethoven's Piano Sonata No. 32, Op. 111. Van Paassen possesses a huge sound, articulates the piano keys with great expertise and enthusiasm, and most of all, leaves an impression that he is most committed to the music of Anton Rubinstein. Availability of this record is questionable right now. Attaca is not well distributed, at least in the USA, and thus may be more available through European outlets, though I am told even then, it is difficult to find. Our recording, after all, dates from 1991 when it was recorded in Utrecht, Vredenburg. 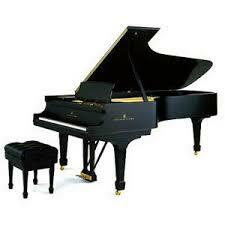 Outstanding piano sound, clear, natural, and full-bodied (I suspect a superb Hamburg Steinway). Still, given the availability, highly recommended if you can find it. Collectors often do find these difficult discs, you know! I've been a fan of Anton Rubinstein for some time now, exposed to his music primarily through the great series of recordings by pianist Joseph Banowitz. Le Bal, Op. 14, is one I haven't heard, but certainly would love to hear. In particular, I am fond of Rubinstein's piano concertos - personally I find each of numbers 1-4 extremely good and emotionally very rewarding - these are among my favorite concertos in ALL the piano concerto repoitoire. These are truly outstanding compositions. His Caprice Russia, and Concertstuck are also very fine works. Some of his work for solo piano, in particular the first CD of pieces he wrote for/about various people in the Russian royal family are quite good. I want to hear the 2nd CD in this series, but can't seem to find it in circulation. I consider Rubinstein on of the truly neglected masters. Why he remains so neglected is to me the biggest single mystery in all of classical music.